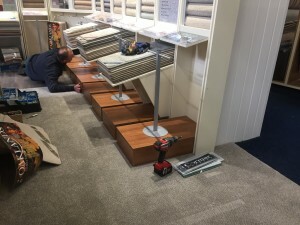 The carpet showroom in Mochdre North Wales after a few weeks of builders, electricians, painters, merchandisers and our own team of fitters, work is almost complete. The newly refurbished showroom area allows for a relaxed browse. Which we believe will help you make the most suitable choice for your home or work place. We’ve now installed from two of our British manufacturers a bespoke showroom display. Offering multi width choices of all their ranges. 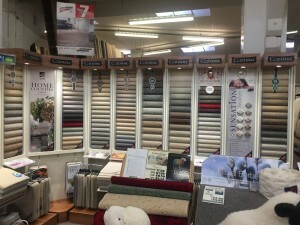 Covering all styles and carpet types. 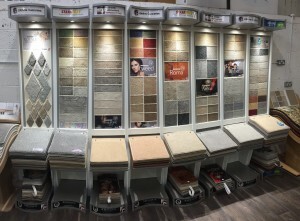 Weve some excellent in store offers on all stock and showroom floorings! 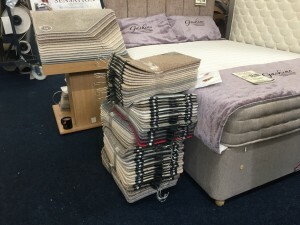 January carpet, bed and rug sale starts Wednesday 3rd 10am!